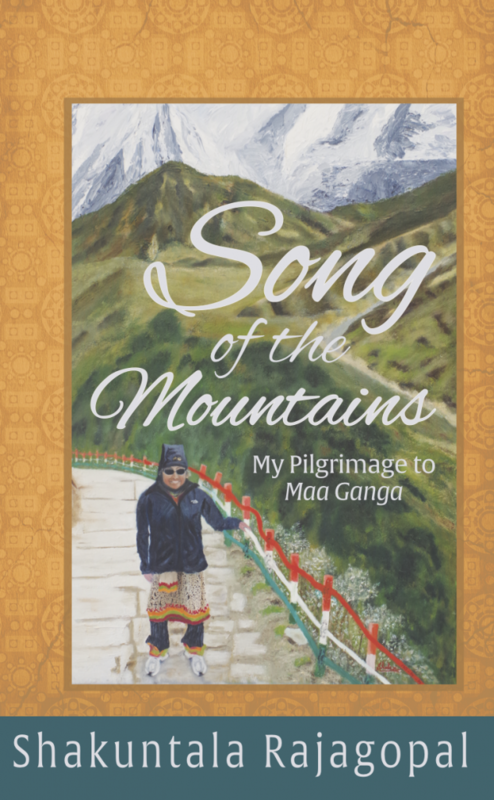 Song of the Mountains, a memoir by Shakuntala Rajagopal available April 15, 2015! What Happens When Those Things that Are Supposed to Comfort You—Don’t? When Shakuntala Rajagopal lost her husband of forty-seven years in 2010, she was devastated. A devout Hindu, she followed what she had learned since birth. Her family celebrated their beloved father, uncle, and mentor through the many rituals sending him off to his new life. Shakuntala even travelled to India to lovingly give her husband’s ashes to the oceans off the Southern coast of India. As her husband’s last ashes floated away, Shaku felt her will to go on float away with him. At the age of seventy, she decided that she needed to revisit her own devout spirituality and take one of the more grueling but one of the most spiritual of all pilgrimages in India—the Char Dham. It would take her to the headwaters of the holiest of rivers, Maa Ganga, Mother Ganges, where she could bathe in her sacred waters to receive her blessings. She knew it would be her chance for a rebirth, a new beginning. But she almost doesn’t make it. Find out how Maa Ganga finally relents to bless her fully so that she can be finally, fully awake from the haze she had fallen and know with certainty that she will survive. 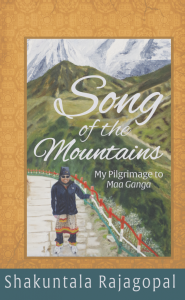 Song of the Mountains: My Pilgrimage to Maa Ganga is a story of survival, changing and challenging any reader in the way he or she approaches major changes in life. Her story is one that will empower the reader to take action and go forward in their own life, whatever the circumstance they are facing. Shakuntala Rajagopal was born in Kerala, South India, and came to the United States in her early twenties. She settled in the Chicagoland area with her husband Raj, and enjoyed successful careers in medicine. She is the author of “Radha”, a novel, and enjoys painting and teaching her grandchildren the glories of life. Purchase “Song of the Mountains” at Kindle or paperback. 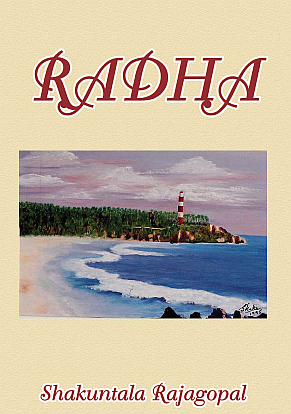 Also by Shakuntala Rajagopal, Radha, a novel.